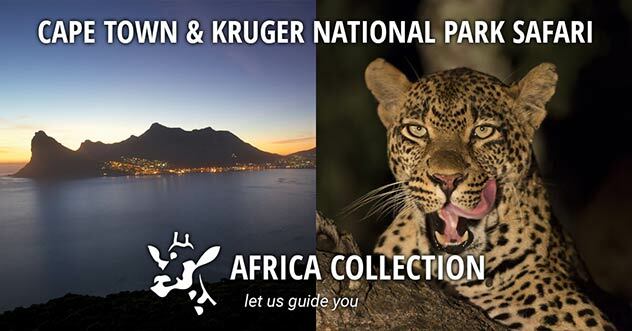 Blessed by a sunny year-round climate KwaZulu-Natal offers contrasting attractions, ranging from mountains and forests to wetlands, beaches & game reserves. 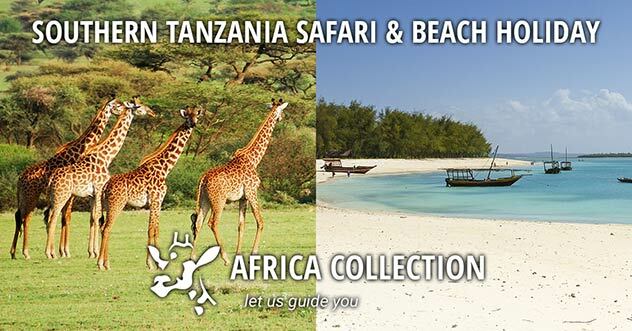 Activities include deep-sea diving, white-water rafting, hiking, horse riding, trout fishing, safari, golf and more. Explore the beauty of the Drakensberg Mountains. Enjoy a slice of history in the Battlefields region. Malaria free Nambiti Private Game Reserve, for an exciting safari. Settle into the laid back rhythm of the ‘Berg’ where you will spend the next 3 nights. It’s easy to see why the beauty of the Drakensberg Mountain Range has inspired many legends in the Zulu, Afrikaans and English cultures. Scraping the sky at over 3 400 metres, the jutting peaks of the Drakensberg are known as uKhahlamba (Barrier of Spears) in Zulu and Dragon Mountain in Afrikaans. Never mind how fit you are, just pack your hiking boots because there will be a walk that’s perfect for you. The Drakensberg escarpment is an eco-tourist destination that stretches through quite a few provinces. It also forms part of the border between South Africa and Lesotho. Outstanding sights include the impressive Tugela Falls, the Amphitheatre, Cathedral Peak and the Sani Pass. The most visited section is the ukhahlamba-Drakensberg National Park. Come here to be rewarded by a magnificent World Heritage Site, grazing herds of oribi, eland and reedbuck and a wealth of ancient San rock art sheltering in its caves. As well as hiking there is plenty for the active soul: fly-fishing, horse-riding, mountain biking, bird watching and safaris. Think fresh clean air, green hills, snow in winter, flowers in spring, wooden chalets and chilled rock pools. Montusi Mountain Lodge is an exclusive lodge in the northern Drakensberg mountains, a World Heritage Site, offering superb views of the Amphitheatre from each of the suites. Montusi Mountain Lodge is an exclusive lodge in the northern Drakensberg mountains, a World Heritage Site, offering superb views of the magnificent Amphitheatre from each of the individual garden suites. Montusi Mountain Lodge consists of a large and beautifully thatched main building with reception, dining room, terrace, bar, lounge and massage treatment room. Relax in peace and tranquillity. Guests can partake in an organized hike and the Royal National Park is 15km away. Horse riding, fly fishing, golf, mountain biking and township tours are on offer, and the nearby Adventure Centre offers cable tours, zip-lining, paintball and quad biking. Relax at the swimming pool, soaking up the tranquil ambiance or perhaps enjoy a massage in the treatment room. Enjoy the cuisine and delicious home-made bread, the restaurant opens onto a terrace overlooking a natural pool and the dramatic escarpment. Personalised service from friendly staff make this owner-run lodge a delight. Close to Amphitheatre Golf Course. The 16 spacious, tastefully decorated, individual suites are among the most comfortable in the Drakensberg. Each free-standing suite is decorated in the earthy colours of Africa and has spectacular mountain views. All the suites have tea and coffee making facilities, including a bar fridge for fresh milk. Minibar facility in the suite is available upon request. All suites have a car port for one vehicle. The four Family Suites easily accommodate 4 people in two bedrooms. The "front" bedroom has a kingsize double bed and a bathroom with bath and toilet, the 2nd bedroom has either two single beds or a kingsize double bed and a bathroom with a shower and toilet. These rooms open onto an entrance area and lounge. The lounges also have a TV, DVD player, gas fire place and private patio. In the uKhahlamba Drakensberg Park, a combined Cultural and Natural World Heritage Site, Cathedral Peak Hotel offers superb cuisine and a host of sporting and recreational facilities. In the uKhahlamba Drakensberg Park, a combined Cultural and Natural World Heritage Site, Cathedral Peak Hotel offers superb cuisine and a host of recreational facilities. In the scenic uKhahlamba Drakensberg Park, a combined Cultural and Natural World Heritage Site, Cathedral Peak Hotel offers warm hospitality, superb cuisine and a host of sporting and recreational facilities. Cathedral Peak Hotel is surrounded by attractive terraced gardens and the dramatically towering Drakensberg Mountains. From its spectacular natural setting, the resort offers 104 comfortable rooms dispersed across extensive grounds. Some rooms have private verandahs from which to admire the panoramic vistas. Informal and relaxed, the central areas include welcoming spaces for guests to settle around a blazing fire, cocktail in hand. Hearty buffet meals are served in the dining room and a fully-equipped gym is available to work off the good food. Perhaps enjoy a peaceful beauty treatment while the children frolic in the swimming pool or explore the games room and outdoor play zone. There are 3 categories of standard rooms - The open-plan thatched Standard Thatch rooms are situated in the hotel gardens and can accommodate 3 guests, the spacious & comfortable Standard rooms can accommodate 2 guests in either twin or king-sized beds, both categories have a private veranda. Standard inter-leading rooms are able to accommodate up to 4 guests, comprising two comfortable double rooms separated by a glass cottage-pane sliding door and curtain. The first room is en-suite, both rooms have a television and second room leads out onto the private veranda. Superior Rooms - These modern rooms accommodate 2 guests, and adjacent rooms have an inter-leading door for family requirements, each has a private veranda. Suites - The thatched Honeymoon/Executive rooms are set apart from the rest of the Hotel in secluded gardens, The exclusive Mponjwane Presidential Suite offers a private veranda with spectacular mountain views & a golf cart for guests for the duration of their stay. Nestled in the heart of the KwaZulu-Natal Drakensberg, Cleopatra Mountain Farmhouse has earned global renown as a romantic gourmet getaway under Richard & Mouse Poynton. In the heart of the KwaZulu-Natal Drakensberg, Cleopatra Mountain Farmhouse has earned global renown as a romantic getaway under Richard & Mouse Poynton. In the KwaZulu-Natal Drakensberg, Cleopatra Mountain Farmhouse has earned global renown as a romantic getaway under Richard & Mouse Poynton. If it’s legendary food, spectacular scenery and tranquillity you’re after, then Cleopatra is for you. Cleopatra Mountain Farmhouse has earned global renown as a romantic gourmet getaway under Richard and Mouse Poynton. Nestled in the heart of the KwaZulu-Natal Drakensberg, this gourmet lodge is dedicated to sumptuous food and a rustic but stylish ambience, with a warm and friendly welcome from the moment you arrive at this idyllic mountain farmhouse. With just twelve unique rooms, and a two-bedroom self-cater cottage nearby, it is a haven for guests seeking to break away from their fast-paced life to enjoy mountain walks, roaring log fires, seven-course dinners and endless relaxation and pampering. Families and friends with children can also enjoy the new self-catering River Run Cottage nearby. Just 1 km from Cleopatra, it offers great privacy and breathtaking scenery, right on the cascading Little Mooi River with soaring mountains above.Mouse has created the ideal environment for relaxation, with many artefacts to interest and amuse, and the new Copper Pot Spa for rejuvenating treatments. Creatively themed and decorated rooms and suites feature welcome fireplaces and countless special touches. Richard is in love with food, a passion of his since school days which led to global travels, gourmet experiences and the first Cleopatra Cookbook. Excitingly different, Richard and his chefs offer tantalising creations prepared with love, care and especially flavour, using local ingredients and home-grown herbs and vegetables. Bordering the Highmoor Nature Reserve up in the mountains, discover San rock art, go hiking, birding, fly fishing, mountain biking and horse riding to create memories never to be forgotten. Explore the nearby Midlands Meander and at the end of an exciting day in the great outdoors, enjoy pre-dinner drinks and convivial conversation in the cosy Poached Trout Pub. Cleopatra Mountain Farmhouse is also renowned for fabulous weddings, catering for up to 60 guests and promising a relaxed and happy celebration. It’s easy to see why the mythical beauty of the Drakensberg Mountain Range has inspired many legends in certain cultures. it jutting peaks scrape the sky at over 3400 meters. It’s easy to see why the mythical beauty of the Drakensberg Mountain Range has inspired many legends in the Zulu, Afrikaans and English cultures. Scraping the sky at over 3400 meters, the jutting peaks of the Drakensberg are known as uKhahlamba (Barrier of Spears) in Zulu and Dragon Mountain in Afrikaans. Never mind how fit you are, just pack your hiking boots because there will be a walk that’s perfect for you. The Drakensberg escarpment is an eco-tourist destination that stretches through quite a few provinces. It also forms part of the border between South Africa and Lesotho. 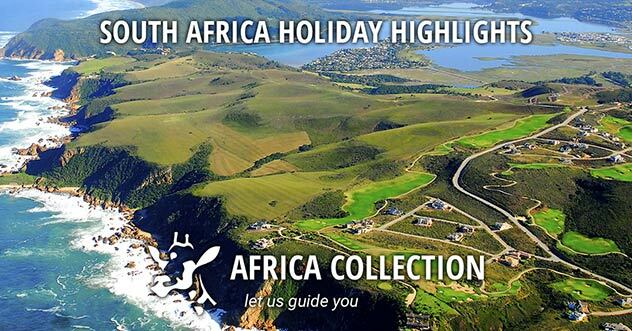 Outstanding sights include the impressive Tugela Falls, the Amphitheatre, Cathedral Peak and the Sani Pass. The most visited section is the ukhahlamba-Drakensberg National Park. Come here to be rewarded by a magnificent World Heritage Site, grazing herds of oribi, eland and reedbuck and a wealth of ancient San rock art sheltering in its caves. As well as hiking there is plenty for the active soul: fly-fishing, horse-riding, mountain biking, bird watching and safaris. Think fresh clean air, green hills, snow in winter, flowers in spring, wooden chalets and chilled rock pools. Amphitheatre: one of the most enormous cliff faces on earth is part of the Royal Natal National Park. There are some incredible hikes here to suit all walking levels. Mont-Aux-Sources – Above the Amphitheatre is one of the highest peaks of the Drakensberg, where several rivers originate. From the Sentinel car park above Witsieshoek you can do a one-day hike with chain ladders at the end taking you to the summit of Mont-Aux-Sources with its magic views. Tugela Falls – At the top of the Amphitheatre, the second highest waterfall in the world tumbles over the cliffs in five drops. You can hike to the foot of the falls up the stunning Tugela Gorge or continue from the summit of Mont-Aux-Sources. Bergville – This mountain town is the main entry to the Northern Drakensberg. Visit the nearby Zulu handicraft centre, Thandanani to purchase traditional beadwork, woodwork and baskets. Kamberg Valley – in the foothills of the ukhahlamba-Drakensberg National Park, great opportunities for walking and birdwatching but take the chance to visit The Kamberg San Rock Art Trail and Interpretive Centre. The centre tells visitors all about the world of the San. To top it off you can take a walk with a community guide to see superb examples of rock art. Cathedral Peak – hiking trails range from hours to days. This area encompasses the Didima Valley with a rock art centre and, if you’re not feeling like walking, an easy drive over Mike’s Pass to the top of beautiful Didima Gorge. Champagne Castle – this area attracts loads of hikers and is a popular wedding destination with its waterfalls, trout streams and forests. It is overlooked by Cathkin Peak. Giant’s Castle – a game reserve in the ukhahlamba-Drakensberg National Park where you can spot the bearded vulture, eland and magnificent rock art. Monks Cowl Nature Reserve – this area is ideal for day visitors and offers hikes from easy to more challenging, such as the contour path. A walk to Nandi Falls is an easy yet scenic choice. Sani Pass – a spectacular and nerve-racking mountain pass which climbs in tight curves up through the cliffs. The route rises steeply to the highest point in Southern Africa that you can reach by vehicle. Underberg – this small town is an excellent base from which to explore this section of the ukuhlamba-Drakensberg National Park. Filled with rivers, pools and ferns, the Southern Berg is less crowded than some other parts of the Drakensberg. Himeville: a pretty and quaint town. Together with Underberg, Himeville is big on fly-fishing and there are many kilometres of river for you to choose your spot. Spioenkop – One of the most violent battles of the Anglo-Boer War took place here. Today the Spioenkop Dam is an excellent location for watersports, fishing, walking and driving safaris (look out for the once almost extinct white rhino). Battlefields – These sites are packed with reminders of Boer, British and Zulu skirmishes. Visit the mGungundlovu, where the Zulu chief, Dingaan wiped out Piet Retief and his fellow Voortrekker followers. Other historically interesting sites include the Ultimatum Tree, Bloukrans, Blood River, Rorke's Drift and the renowned Isandlwana where the British were defeated. Don’t miss out on Ladysmith, and the Talana Museum at Dundee. Enjoy a slice of history during your 3-night stay in this region, with optional tours to the battlefields of Rorke’s Drift and Isandlwana, sites of some of the most dramatic events in British military history that occurred during the Anglo-Zulu War of the 19th century. Alternatively stop on the way at Spionkop, the scene of another bloody conflict, this time from the Anglo-Boer War. The Voortrekker-Zulu War (1836-1852), the Anglo-Zulu War (1879), the two Anglo-Boer Wars (1881 and 1899) and the Bambatha Rebellion (1906) are dramatic chapters in South Africa’s history that helped shape the present day nation. Today visitors from around the world come to roam the battle sites, graves, memorials and museums which tell stories of courage, betrayal and tragedy. To fully understand the present you must look to the past. Isandlwana, Spionkop, Rorke’s Drift, Blood River, the Battle of Majuba, the siege of Ladysmith - these sensational battles can be described as the ‘main events’ of these conflicts and these sites are easily accessible from a selection of establishments. But don’t think they are only of interest to military historians and enthusiasts. The way the tours are conducted and the events presented make them accessible and enjoyable to all. The Rattray family, pioneers of Heritage Tourism in South Africa, offer visitors an opportunity to experience the saga of the Anglo Zulu War. It is in the Fugitives’ Drift Game Reserve. The Rattray family, pioneers of Heritage Tourism in South Africa, offer visitors an opportunity to experience the extraordinary saga of the Anglo Zulu War. 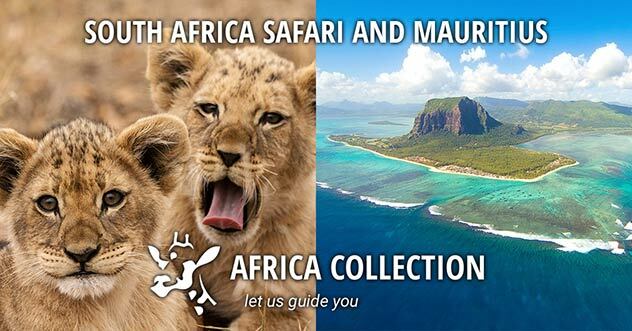 The Lodge and Guest House are set within the 2000 hectare Fugitives’ Drift Game Reserve, which overlooks the battlefield of Isandlwana and is home to giraffe, plains game and numerous birds. The Lodge houses a veritable museum of memorabilia, artefacts and relics. In a stunning setting overlooking Isandlwana and the Buffalo River, the spacious new Harford Library provides a contemporary venue for lunch, parties or simply to relax. Both the Lodge and Guest House have extremely comfortable and spacious cottages, each with a verandah. Both have swimming pools; the pool at the Lodge is surrounded by tranquil indigenous gardens. Friendly, personal service and good food create a relaxed atmosphere. The 15-mile river frontage on the Buffalo River Gorge also includes the graves of Lieutenants Melvill VC and Coghill VC who lost their lives saving the Queen’s Colour. Fugitives’ Drift is a Natural Heritage Site and offers game viewing, walks, horse rides and fly-fishing. World-renowned battlefield tours are conducted daily to Rorke’s Drift and Isandlwana. 8 luxury suites, a cottage and guest house are decorated in a classic, colonial style. Accommodation is spacious and light, each suite featuring a private verandah with vistas over the plains below. The lodge’s central areas boast a collection of memorabilia from the Zulu War, and the Hartford Library, dining room and viewing decks are wonderful spaces to socialise and absorb the ambiance. In between fascinating battle tours, soak in the pool, appreciating the silence and beauty of the location. Offering intimacy and personal service, the Guest House consists of 6 luxury suites, decorated in a classic, colonial style. Accommodation is spacious and light, each suite featuring private verandahs and extensive wilderness views. The central areas boast the original verandahs, an outside dining area and cosy lounge surrounded by memorabilia. The inviting pool gazes out over indigenous bush and, in the distance, Isandlwana. Socialise around a camp fire, under the African skies, sipping pre-dinner drinks, before sampling the superb meals served in hospitable style. Dramatic events took place in the Anglo-Zulu war of 1879. On the 22nd January an estimated 15,000 Zulu warriors surprised, split and defeated 1,500 British troops at Isandlwana. Some of the most dramatic events took place in the Anglo-Zulu war of 1879. On the 22nd January an estimated 15,000 Zulu warriors surprised, split and defeated 1,500 British troops at Isandlwana, capturing The Queen’s Colour in the process. Within a matter of hours some 4,000 Zulu attacked the mission and field hospital at Rorke’s Drift – 100 British troops held them at bay for 12 hours earning 11 Victoria Crosses in the process. But it is the personal stories told by the tour guides and resident historians at the lodges that bring the history to life – after all, battles are fought by people. The Afrikaaners (Boers – settlers from the Netherlands) seeking political and cultural self-determination, which they believed could not be achieved under British rule in the Cape Colony, embarked on an epic 16-year journey to establish the Boer republics. The Boer-Zulu conflict was a result of two differing cultures and agendas, and the Battle of Blood River in December 1838 near Dundee has become a significant event in Afrikaans folklore. Having established the Boer republics of the Orange Free State and the Transvaal, and after a brief conflict in 1881, gold was discovered in 1886 in the Transvaal and the Gold Rush began ! President Paul Kruger sought to maintain the Boers right to independence but the die had been cast for the final Anglo-Boer War (1899-1902). This was a war fought across the country but it was at Spionkop, Elaadslaagte and Ladysmith that some of the more memorable events took place, many of them witnessed by a young Winston Churchill in his role as war correspondent and Mahatma Gandhi as volunteer stretcher-bearer. A short drive will take you to Nambiti Game Reserve for the start of an exciting safari. Close to the majestic Drakensberg Mountain Range, a World Heritage Site full of extraordinary beauty and numerous activities, you will find the Malaria free Nambiti Private Game Reserve - situated 25 km’s east of Ladysmith, only 3½ hours from Johannesburg and 2½ hours from Durban. Nambiti Game Reserve is the only game reserve in the area with the Big 5 and currently has over 40 other species of game including cheetah, giraffe, hippo, hyena, impala, eland and zebra. Nambiti Game Reserve offers incredible biodiversity, with grasslands, riverine bush, savannah and thornveld. Game viewing, birding, and fishing (for yellowtail) in the river are the main activities at Nambiti, which is also close to the renowned battlefields. Springbok Lodge offers a comfortable tented safari experience and is set in the popular Big Five Nambiti Private Game Reserve in KwaZulu Natal which offers incredible biodiversity. Springbok Lodge offers a tented safari experience and is set in the popular Big Five Nambiti Private Game Reserve in KwaZulu Natal which offers incredible biodiversity. Springbok Lodge offers a very comfortable tented safari experience and is set in the popular Big Five Nambiti Private Game Reserve in KwaZulu Natal. Nambiti Game Reserve offers incredible biodiversity, with grasslands, riverine bush, savannah and thornveld. Game viewing, birding, and fishing (for yellowtail) in the river are the main activities at Nambiti, which is also close to the renowned battlefields. Spacious elevated tents include private decks and outdoor showers, air-conditioning and heating. In room wellness massages by arrangement. Relax at the pool. 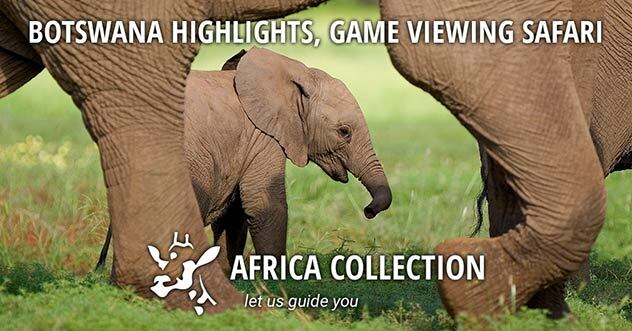 Enjoy two games drives daily to see the Big Five. Well positioned on the main route between Johannesburg and Durban, Springbok Lodge is a four-and-a-half hour drive from Johannesburg and three-and-a-half hours from the coastal city of Durban. The breathtaking mountains of the central Drakensberg lie a mere one-and-a-half hours away. Bringing the lodge even closer is 1.2km landing strip for light aircraft or helicopters. Guests staying at Springbok Lodge leave with a different idea of "camping". 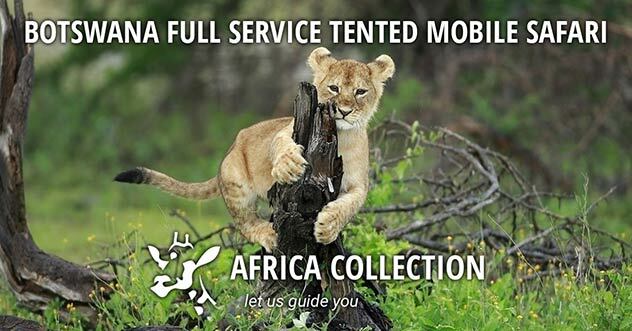 21 elevated Luxury Tents sleep a maximum of 50 guests (42 sharing plus 8 children), offering comfort in the African bush. The tents are air conditioned in the warm summer months and heated in the chilly winter ones with electric blankets keeping guests extra snug. Each of the elevated en suite tents have their own viewing deck with chairs for your comfort, a king-size bed (all tents also available as twin beds), a hospitality tray, complimentary sherry, safety deposit box and a hairdryer. Nambiti Hills Private Game Lodge is situated within the Nambiti Big 5 Game Conservancy, in Northern KwaZulu Natal, not far from the town of Ladysmith. overlooking the valley. Nambiti Hills Private Game Lodge is set within the Nambiti Big 5 Game Conservancy, in Northern KwaZulu Natal, close to the town of Ladysmith. overlooking the valley. Nambiti Hills Private Game Lodge is situated within the Nambiti Big 5 Game Conservancy, in Northern KwaZulu Natal, not far from the town of Ladysmith. 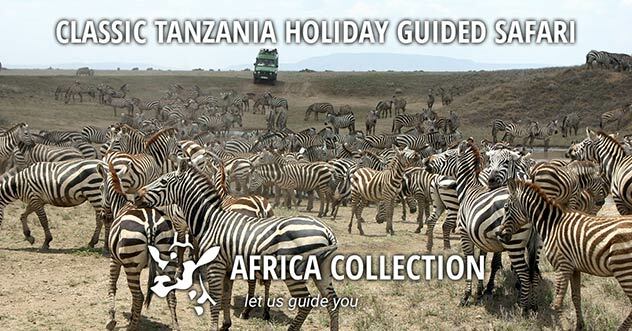 This sophisticated safari lodge is privately set on the lower lying areas of the Conservancy, overlooking the valley of thorny trees and rocky grasslands. The main thatched building houses the dining and lounge areas, which are warmed by no less than three wood burning fire places. These modern contemporary guest areas are enclosed with ceiling to floor glass doors which fold away to reveal wide wrap around viewing decks. Outdoor dining is enjoyed in the boma, which surrounds the camp fire pit and private meals can be arranged in unusual settings like the secluded waterfall. There are eight luxury thatched suites and one honeymoon suite each with a private viewing deck and an interior featuring a contemporary eclectic mix of local African design. All suites include en-suite bathrooms with double showers and oversized baths, both positioned to enjoy valley views, air-conditioning, heating, fully stocked minibars, tea and coffee facilities, WiFi and comfy sitting areas that open out to private viewing decks. The main thatched building includes the dining and lounge areas with three wood burning fireplaces. Outdoor dining is enjoyed in the boma, a wide verandah neighbours the bar which spills out to a waterfall that splashes into a rock pool. 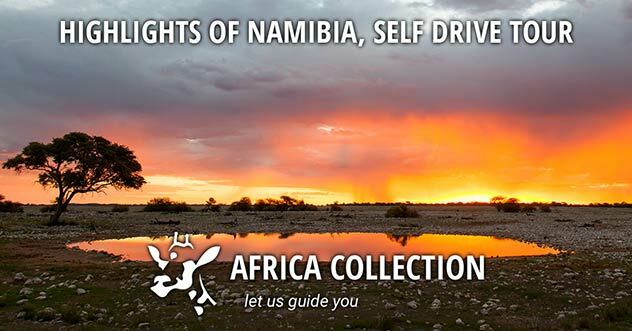 Fill your days with two game drives daily in the morning and afternoon. There are a selection of tours available from the reserve, most popular being a battlefields tour (additional charge). Spa treatments can be booked and enjoyed in the privacy of your room (additional charge). Another 3 hour drive, this time down the coast, will bring you to Shaka’s Rock or Umhlanga Rocks, both popular and relaxed coastal towns. After the activities further north spend a few days relaxing on the beach, swimming or enjoying the nearby restaurants. Sunshine, sea, and sand… the classic summer holiday trio, only here you get it all year round. The subtropical North Coast of KwaZulu Natal follows the Indian Ocean from just north of Durban all the way up to Richard's Bay. Shaka’s Rock – A great choice for families, this is a residential coastal village with plenty of accommodation, a family friendly beach and tidal pool. Umhlanga Rocks - With its red and white lighthouse and lovely stretch of sand, Umhlanga has long been a favourite resort among South Africans. Due to this favoured status, it has a proliferation of high-rise luxury apartment blocks and a roaring social life for most of the year. Located on the Kwa-Zulu Natal Dolphin Coast, in the town of Shaka’s Rock, set within tropical gardens, the ocean extends out before it. Lalaria is a laid-back seaside destination. Lalaria Lodge is located on the Kwa-Zulu Natal Dolphin Coast, in the sleepy town of Shaka’s Rock. Set within tropical gardens, the beautiful ocean extends out before it. Lalaria offers a laid-back seaside destination, bright, light accommodation and personal service. Relax at the pool, soak up the sun and enjoy spectacular sea and beach views. A warm welcome, generous comfort and friendly personal service await you at this spacious Mediterranean style residence. The friendly cocktail bar leads to the spacious deck, ideal for sundowners and dolphin spotting. Leisurely beach walks and safe swimming. Golf, horse riding and restaurants nearby. Big Five game reserves 2 hours north. Durban's King Shaka airport is 15 minutes away. TGCSA 5-Star Guest House; Complimentary WiFi throughout; Secure parking; Children 12+ welcome. Stylish air-conditioned bedrooms have every comfort with king-size beds, DSTV, wireless internet, telephone, ceiling fan, mini bar and safe. All bathrooms have bath and separate shower. The spacious new upstairs Suite with balcony and glorious sea views makes for an extra special stay. The Oyster Box Hotel is a beachfront hotel of undeniable class and elegance. Since 1947, the Oyster Box has always been something of an institution, located directly on the sea. The Oyster Box Hotel is a beachfront hotel of undeniable class and elegance. Since 1947, the Oyster Box has always been something of an institution, located directly on the sea, some 10 miles north of the city of Durban, many still speak nostalgically of dinner dances, oyster parties and fine dining in the warm salty air of the Indian Ocean. After a complete make-over, the hotel re-opened in October 2009 – refurbished to the highest standard, without losing the original romance of the hotel, defining features such as the tiled sign at the entrance, the swing doors, the black and white floors and spiral staircase have all been retained. A remarkable diversity of atmospheres has been created. The 86 rooms and suites are highly individualized, yet unfailingly appealing, and all feature California style shutters and a vast array of South African artwork. There are 11 different room types, from the entry level garden facing classic rooms to the 246m² Presidential Suite over 2 levels with a private elevator and rim flow pool. The three restaurants and three bars offer guests ample choices. The Palm Court is pure plantation style, with its white wicker chairs, paddle fans and intricate hand painted tiles, the Oyster Bar is sleeker, with its pearl coloured chairs, the glass floor looking into the wine cellar below, the oversized chandeliers, the framed original photos of the hotel and the hand written notes of past guests, Philip Mountbatten included. Upstairs, the Lighthouse Bar takes on a funkier edge, with deep reds and leather echoing the red striped lighthouse outside. Not to mention the multi-level Spa with its six treatment rooms and the intimate 24 seater cinema. Relax at the glorious swimming pools, stroll through the vibrant holiday town of Umhlanga Rocks or take a 3 minute walk along the promenade to safe swimming beaches. From May to July billions of sardines spawn in the waters of the Agulhas Bank, off the coast of KwaZulu Natal and the Eastern Cape. Travelling north from the colder southern seas. From May to July billions of sardines spawn in the waters of the Agulhas Bank, off the coast of KwaZulu Natal and the Eastern Cape. Travelling from the colder southern seas. From May to July billions of sardines spawn in the waters of the Agulhas Bank, off the coast of KwaZulu Natal and the Eastern Cape. Travelling from the colder seas. From May to July billions of sardines spawn in the cool waters of the Agulhas Bank, off the coast of KwaZulu Natal and the Eastern Cape in South Africa. Visible even from space (allegedly) these huge shoals of fish travel north from the colder southern seas in seething masses. Stretching up to 15km in length, over 3km wide and 40 metres deep this is pretty spectacular in itself. But add to this literally thousands of predators (birds, dolphins, sharks, whales, game fish) arriving to partake in this feeding frenzy, and you end up with a wildlife and biomass event that rivals the Great Migration in East Africa. 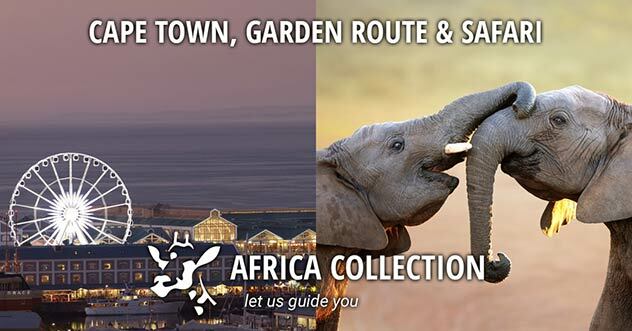 Africa Collection can tailor an itinerary or package to ensure that you are in the right place at the right time to enjoy this unique spectacle. Enjoy a phenomenal marine wildlife experience (scuba diving, snorkelling or surface viewing), whilst staying on the beautiful Wild Coast. Bush, Beach, Battlefields & Berg - these 'four B's' form the backbone of the majority of trips in KwaZulu Natal. The scenically breathtaking uKhahlamba-Drakensberg Park is a World Heritage Site. Numerous Anglo-Boer & Anglo-Zulu battle sites, such as Rorke’s Drift and Spionkop, scene of some of the most dramatic events in British colonial military history. Great beaches along the whole coast. 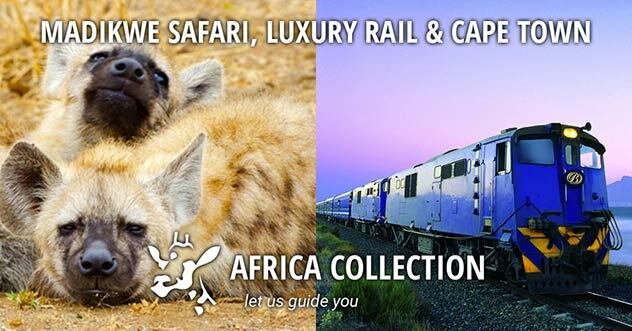 And of course the great African attraction of a safari. "Thank you so much for organising such a wonderful holiday. All of us had a fantastic time and saw SO much." "The holiday was a great success and the itinerary you put together was spot on so thank you for getting it right as usual! Also all the transfer and car arrangements went like clockwork. Once again thank you for your services. Need to start thinking about what is next!"